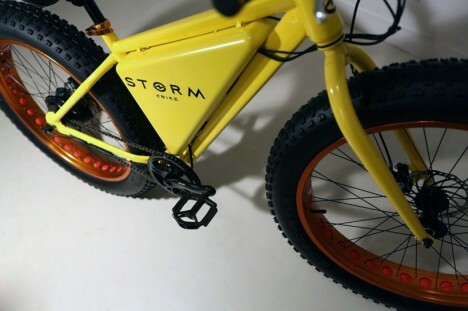 If you’ve wanted to hop on the e-bike bandwagon but were nervous about the price or distance range of available bikes, the Storm might be the perfect solution. Editor’s note: there is some controversy surrounding this campaign – as with all crowdfunding endeavors: buyer beware! The Storm’s battery can take you about 30 miles, but thanks to a swappable battery system you can simply change out the battery when it dies. Each battery recharges in about 90 minutes, so even if you don’t have a spare you can get back on the road quickly. A 380 watt, 36 volt direct-drive motor can get the Storm up to a top speed of 20 miles per hour. The throttle is a small thumb switch on the handlebar that makes controlling your speed simple. Of course, you can always pedal the Storm instead of using the motor, which will let you ride for as long as your legs can handle the workout. With a weight of just 45 pounds and fat all-terrain tires, the Storm is easily transportable and rugged enough to go just about anywhere. 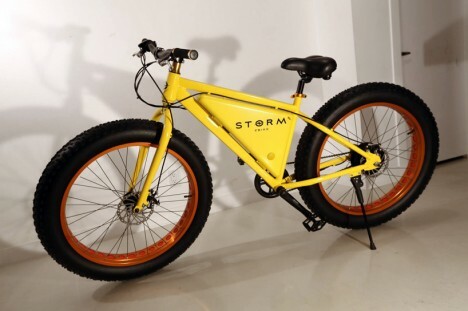 A price point of $500 makes the Storm the most affordable e-bike out there. 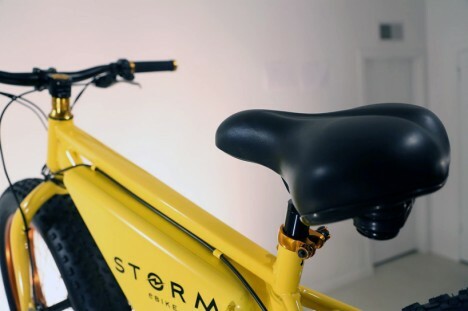 An Indiegogo campaign for the bike totally smashed its $75,000 goal, having raised more than $2 million as of the time of publishing. See more in Bikes & Cycles or under Transportation. February, 2015.